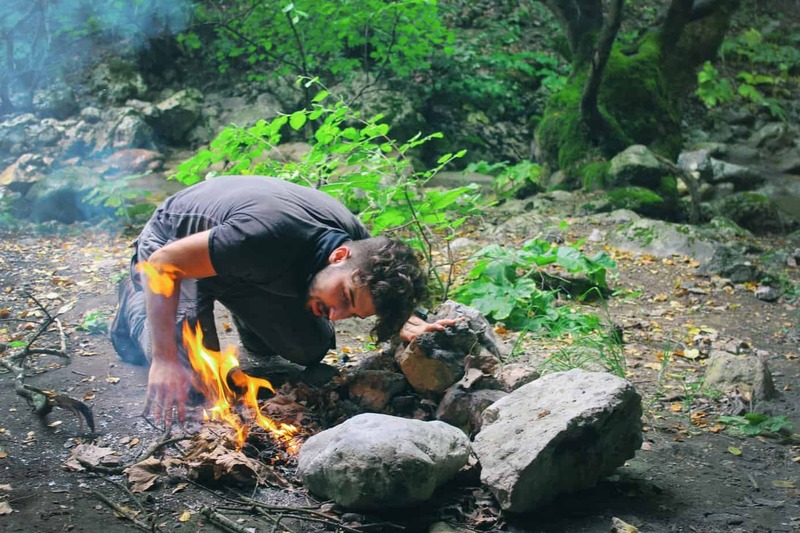 Marmot is all about outdoor gear. You can find everything you need, from tents to backpacks, but their apparel is where you’ll find some real fan-favorites. Some big brands are guilting of charging high prices for mediocre quality clothing just because of their name. Marmot is not one of those companies. A true outdoor enthusiast needs durability, looks and weather resistance all rolled up into one jacket – and Marmot easily delivers. Their ROM jacket is particularly popular for men and women that are looking for that perfect soft shell-style outerwear that they can wear everyday, in (almost) any weather condition, and feel comfortable. ROM stands for Range of Motion, which hints at just how well this jacket fits and feels on the body. If you’re looking for the “Swiss Army Knife” of softshell jackets, you’re going to want the ROM on your wishlist. Before getting in depth about Marmot’s ROM jacket, here are the basics you need to know. Just by the design alone you can tell why this jacket is so popular. The Angel Wing Movement technology is a sleeve design which allows complete unencumbered arm movement. You can raise your arms and move them all around without have the jacket rise with them. In windy or cold conditions this is incredibly useful since you can easily get chilled if your jacket rises and your skin is hit with cold air. Flexibility is the main reason why this jacket is so versatile. You can go skiing, take a stroll down the block or chop firewood and feel great regardless. The ROM is fairly lightweight, similar in weight to other soft shells by Marmot. It offers enough density to trap body heat but isn’t going to leave you overhead on cool spring, summer or fall nights. When it comes to looks, the ROM continues to impress. Both the men’s and women’s sizing is on point, with the Athletic cut flattering both. Women will appreciate the more tapered silhouette of their jacket. There are enough color options to either choose a bright, dark or neutral shade. When it comes to weather resistance, the ROM performs very well. The WindStopper fabric is incredible. It stops wind chill and keeps you equally comfortable in cold weather as it does in warm weather. Humidity isn’t a problem and neither is dealing with sweat. This material is extremely breathable thanks to the triple layering. The middle layer is the WindStopper membrane which manages to hold in body heat while making moisture disappear. The ROM is even more breathable thanks to the Marmot M2 soft shell material used on the side panels. With the use of this material these panels provide plenty of ventilation. Also, you’ll find that these stretchy side panels are what really give the ROM it’s name – it bends and moves with the body without restriction. 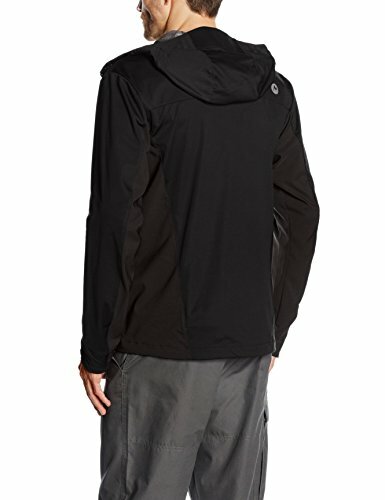 This jacket is primarily used as a windblock so keep in mind that it’s excellence in overall weather protection doesn’t include resistance to water. It offers some protection in that arena but keep in mind that this is not a rain shell by any means. Even on it’s own the ROM is fairly warm but for winter days you can easily layer under or over the jacket. The Angel Wing and stretchy side panels really help to make layering easy. Most customers find that a basic light to mid-weight fleece under the jacket is enough. If it is snowing, raining or you may fall into snow it is best to add a rain shell over top for protection from moisture. Windchill can easily turn a nice day outside into a misery. The WindStopper material can handle light snow and light rain as well as strong winds without making you cold. The triple layers of fabric offer 2.5x more warmth than other fleeces. As an added bonus, the outer fleece layer of the ROM doesn’t need to be babied. You can wash it without worry. This jacket really has a lot going for it. There aren’t many soft shelled windproof jackets that can provide enough warmth to function alone in fall and winter. Many windproof jackets also lack breathability. 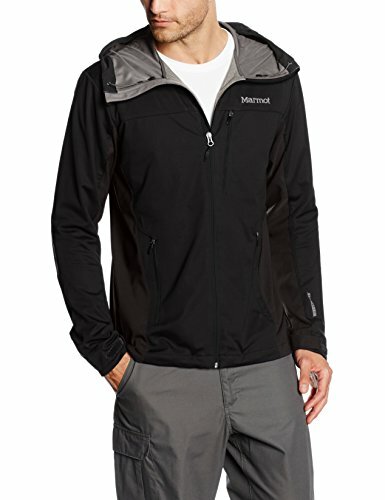 Marmot really hit the perfect design and choice of materials which this model. Even though this jacket is well-loved with a number of positive reviews, there are two things to keep in mind before purchasing. Those who participate in any activity where they will have to wear a helmet, say mountain biking or climbing, will be disappointed to know that the awesome hood on the ROM isn’t helmet compatible. The close fitting design is ideal for the intended purpose of the jacket, since it can be cinched down to block wind, but you won’t get that protection while wearing headgear. If you don’t like wearing a hood with a helmet anyways or are comfortable not having the option, it is worth noting that the athletic cut of the ROM, the flexibility while being worn, and the short back cut are ideal for wearing under a climbing harness. 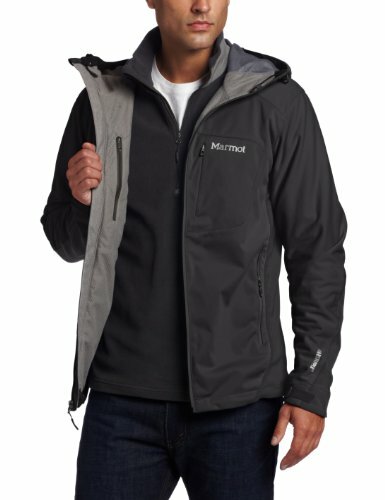 Marmot doesn’t sell the ROM as a waterproof jacket or even as a rain shell, but it seems some customers saw Gore-Tex and believed it would keep out any water. While Gore-Tex fabrics are known for being tough, waterproof materials, remember that this jacket is made of their WindStopper fabric. The main purpose is to block wind, not water. As mentioned before, WindStopper is made up of 3 layers. The outer layer is only a water repellent polyester micro fleece. You will stay dry in a light drizzle but you will get wet after 5 or 10 minutes in anything more than that. While the lack of water resistant is a disadvantage, negative reviews solely due to this are a customer error as Marmot explains that this is only water resistant at most. All in all, the ROM by Marmot is an excellent softshell that men and women alike can rely on to keep them warm all year long. 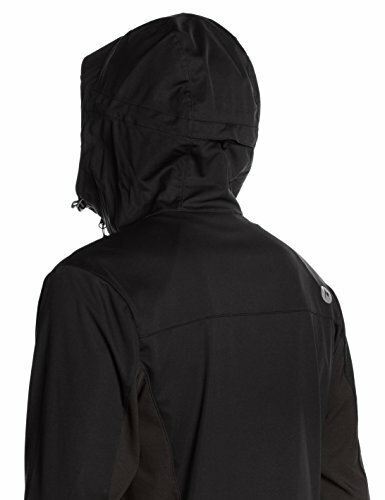 It is truly a multisport jacket that is equally at home out in the woods as it is walking around town. Priced at under $200 it is the right price for a top quality jacket that is going to last for multiple seasons.